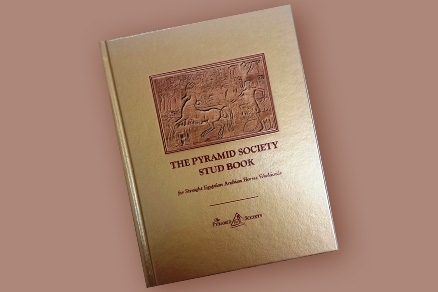 The Pyramid Society provides the only digital advertising dedicated specifically to the worldwide Egyptian Arabian horse community. Our advertising options are lucrative, affordable, and a BENEFIT to current Members. Opportunities start at as little as $15/month with the potential to reach thousands of Arabian horse enthusiasts from around the world. Custom packages are also available! Contact info@pyramidsociety.org. Ad Specs: 8" x 10.5" featuring a live link to your website or preferred social media profile. Convient PDF format for download and printing. FACEBOOK FEATURED FARM - Email your promotion to showcase your farm on our Facebook page with a post featuring an image, brief description, and link directly to your webpage or farm video as desired. $100 each. Let us help you extend, and optimize your media exposure! Contact us today to build an advertising package that’s right for you. Learn about Horse for Sale, Stallion at Stud, and Enhanced Profile listings, and learn how to feature your horses and farm across The Pyramid Society website! Learn about advertising in one of The Pyramid Society's exclusive, regularly-printed publications.